PETERS – What should you look for in a Kamloops City council candidate? LAST MONTH on CFJC Today, Bill McQuarrie talked about what voters can expect in the upcoming election campaign. He got out his crystal ball and predicted certain topics that will be up for debate. I’m going to expand on that with a little bit of advice on who to vote for. Not actual names of candidates, mind you, but characteristics in candidates you should be looking for. First, put some stock into a candidate’s experience — but not too much stock. The most successful councillors in the past have had a wide range of ages and life experiences. It’s far more helpful to look at a candidate’s level of energy and enthusiasm for the job than the experience section of their resume. Don’t make the mistake of believing someone is unqualified for the job based on their gender, age, race, sexual orientation or economic standing. James Peters is the radio anchor at CFJC, coming to Kamloops in 2006. He anchors the afternoon news on B-100 and 98.3 CIFM, and contributes weekly editorials to the CFJC Evening News. He tweets regularly @Jamloops. 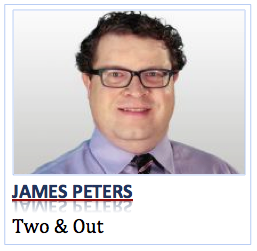 2 Comments on PETERS – What should you look for in a Kamloops City council candidate? …but then we have 9 incumbents to look at and measure their promises before the election versus their performances as councilors. We can also look at the tradition where most incumbents are re-elected…I think we can fairly say reason and logic are generally not part of decision-making…but that is only my opinion. I like a lot of what you have to say, but I honestly think the ward system would really help Kamloops as a whole. Did you know Heffley Creek is governed by the City of Kamloops? (Yes, I know Heffley just got their new bridge…finally…). I liken the ward system not to division, but to representation. Imagine if we did not have “wards” (constituencies) at the provincial level! Vancouver might get everything (well OK they sort of do still, but we really do have MLAs in Kamloops who speak up for the Interior).